I simply cannot wait to have days & days to read this summer, but I know many of my students don’t feel the same way. I can’t (as much as I try, wish, pray, & dream) make anyone love reading or use magic to zap my non-readers into Reading Rock Stars! What I can do, and really love to do, is share awesome book titles with students and parents. Maybe one (or two, or three, or more) of those books will click with a kid, or inspire them, or lead them to other books. Hey, a girl can dream, right? I am not a fan of summer reading assignments for my students. 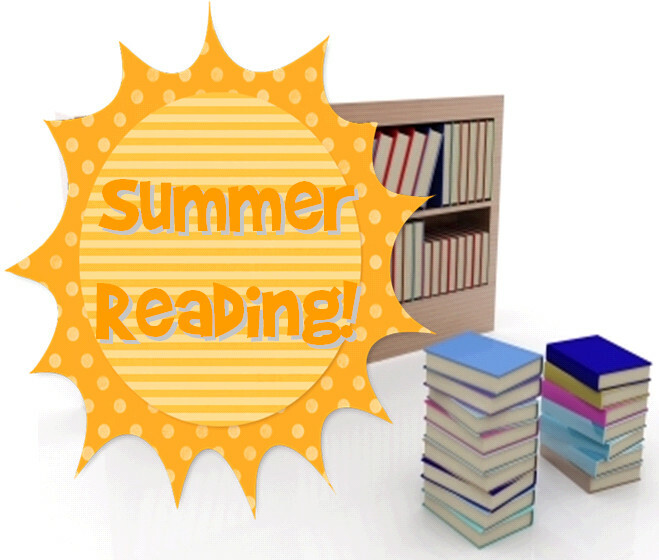 I have tried a million different things (well, maybe not a million, but quite a few) to get kids to read over the summer. Assignments that force reading just don’t work for my students. It’s hard enough to get some of my kids to read during the year, so I sure don’t have any pull over the summer! Most of my kids don’t think about school at all during the summer. Summer assignments get ignored, forgotten, and unfinished. Then they start off a new school year already behind. It is huge DISLIKE all around! So, it doesn’t happen in my classes. I always suggest books, have lists available for students and parents, and hope that they read. If your kids (and parents) participate in summer assignments, YAY YOU! Do what you know works for your students! Here are a few of the Summer Reading Lists that I’ve seen floating around. I’ll keep posting them as I find more. Be sure to check out your local libraries and book stores, too. They always have super awesome things going on-most with prizes! If you have a great list or a book you think kids will love, do send it my way.